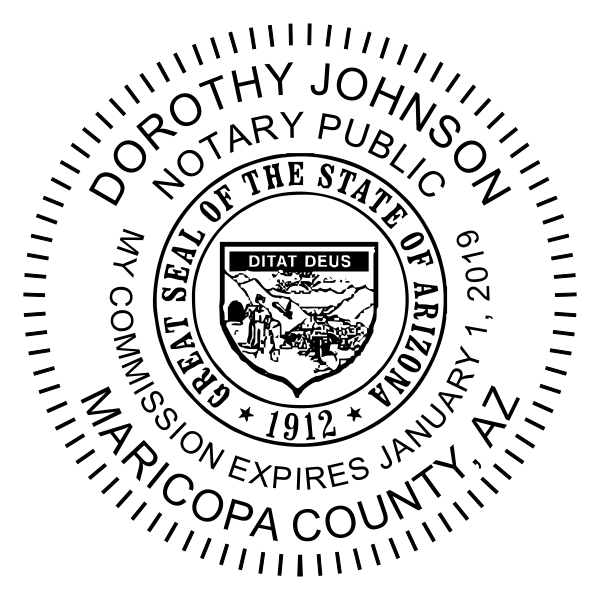 Be sure your Arizona Notary Seal Stamp is updated with the latest Notary design! Please provide the name, county and expiration date. Stamp Size is 1.625". Don't hesitate and purchase yours here! 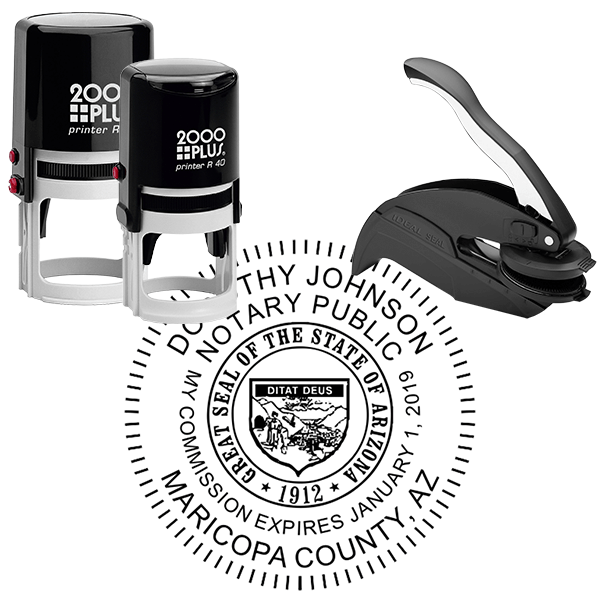 Fully compliant and made of the highest quality materials, order your Arizona Notary Round Seal Stamp online here now!